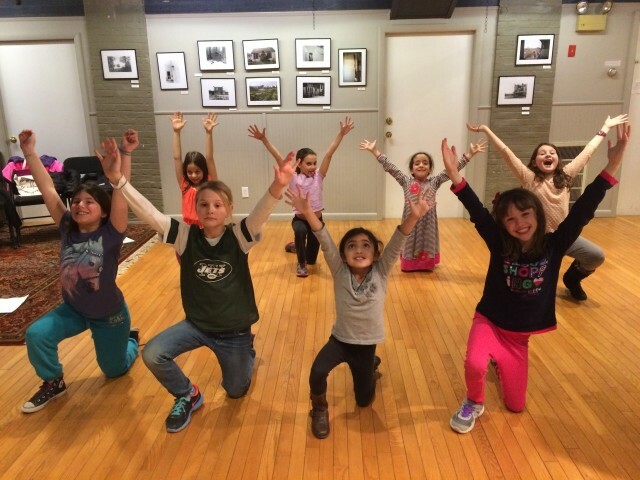 Children rehearse in a Spotlight Arts workshop in Brewster. BREWSTER, N.Y. -- Spotlight Arts offers intensive 5-day workshops for children and teens over the summer in Brewster. They are designed to give students an intensive experience as a lead or supporting role in a staged musical production. The first week will be "Fame Jr." Aug. 1 to 5; and the second week will be "Mulan Jr." Aug. 15 to 19. The sessions run Monday, Tuesday, Wednesday and Friday, 9 a.m. to 3 p.m. at Studio Around the Corner, 67 Main St. Brewster, with the staged production at a local theater Thursday. The program is open to students ,ages 10 to 18. To register and for more information, call (845)444-ARTS, email spotlightartsinc@gmail.com or visit www.spotlightartsinc.com.